This Is Our Jam: Chad Valley, "Fall 4 U (Featuring Glasser)"
Chad Valley is the solo project of London-based producer Hugo Manuel, who also doubles as front man for the indie-rock outfit Jonquil. Mixing simmering pop with Balearic beats and the island rhythms of Ibiza, last year’s Equatorial Ultravox EP was a refreshing take on a well-worn genre. 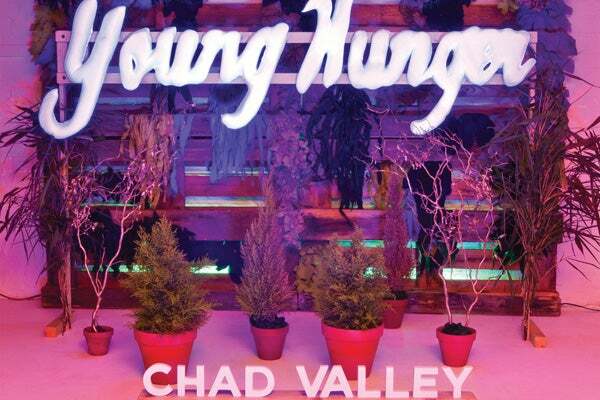 With his upcoming full length, Young Hunger (out October 30 on Cascine), Chad Valley has widened his scope by enlisting artists including Twin Shadow, El Perro Del Mar, Active Child, among others as guests. His first single, “Fall 4 U” features Glasser (aka Cameron Mesirow), whose wonderful 2010 album, Ring, also delved into the sounds and emotions of the Mediterranean. The track starts slow with atmospheric synths before things take a distinct turn toward ‘80s pop, with Manuel and Mesirow trading alternate vocal takes. “Fall 4 U” takes particularly inspiration from the synth-y glam of Scritti Politti and The Human League, and at times, Manuel even sounds a bit like adult-contempo mastermind Michael McDonald (we mean that as the highest compliment possible). It’s new territory for Chad Valley, and it’s great hearing two such distinctive voices on the same track. Get your mojitos ready. "Fall 4 U (Featuring Glasser)"